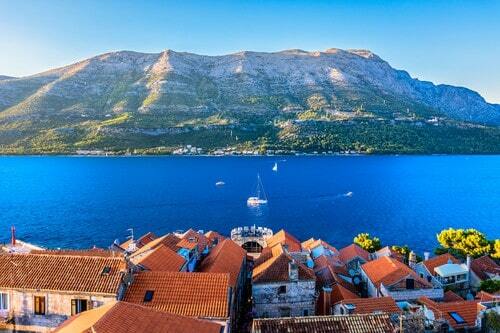 The island of Korcula is believed to be the birthplace of the famous world explorer Marco Polo. Rich in picturesque little villages, lush vineyards and olive groves, and idyllic quiet coves and scenic bays, Korcula is a Croatian island that you very much need to discover for yourself. The 6th largest Adriatic island stretches out over 47km in length and boasts dense and dark pine forests and sun-bleached sandy beaches. The original Greek settlers on the island of Korcula named this beauty spot Korkyra Melaina (meaning black Corfu). The heart of Korcula is its small and fortified Old Town, which was once ruled by the Venetians. The outer defensive walls of the town serve as a promenade, and offer breathtaking views of the Pelješac peninsula. 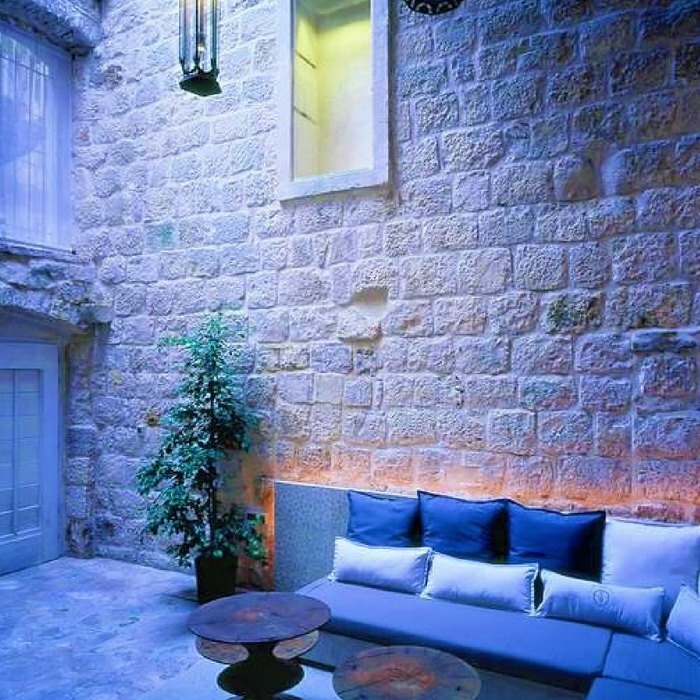 Korcula Town is steeped in history, heritage and tradition. It’s not unusual to discover the sight of ancient religious ceremonies, folk music performances and colourful dances taking place on the streets. Take a wander along the narrow, winding alleyways and explore the ingenious layout of the fish bone patterned streets in the medieval town. The vineyards that are studded all over Korcula cultivate the indigenous grape pošip, which is widely used to make the best wines in Croatia. Join a wine tasting tour to sample the high quality wines, and learn about the island’s winemaking tradition. On guided tours, day trips and expeditions, you can easily explore charming villages, little towns and neighbouring islands. Visit Vela Luka to admire the stunning natural attraction of Vela Spila. Sail away to secluded coves, where you can sunbathe and swim in privacy. Or hop aboard the ferry for a return trip to Brac, Hvar, Mljet, Solta or Vis. On your exciting Croatia cruise adventure you will discover why Korcula is one of the most popular south Dalmatia destinations. 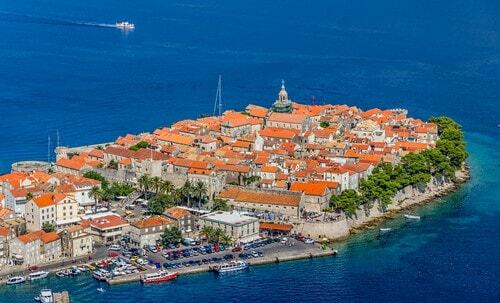 Korcula’s medieval Old Town is situated on an oval shaped slab of land and is encircled by imposing walls. The small, fortified town boasts an ingenious layout of narrow alleys that branch off the main street and resemble a fish bone. The unique design prevents strong winds from chilling the houses in winter, and increases air circulation during balmy summers. Take a walk around the main square and visit St Mark’s cathedral. Dotted around the town are numerous historic landmarks to explore. 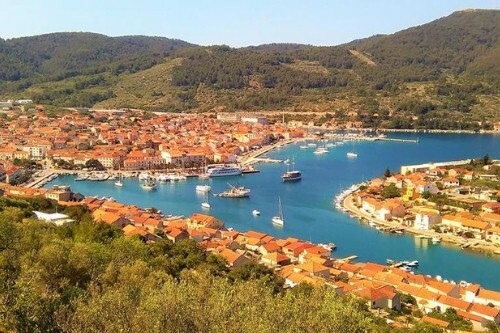 Located on the western side of Korcula is the charming little town of Vela Luka. The town is situated in a sheltered bay and is well known for its popular attraction of Vela Spila (Great Cave). The elliptically shaped, gaping limestone cavern offers excellent photo opportunities. The town is also home to 19th century sea-facing houses, and offers access to the off-shore paradise of Proizd, where the beaches are idyllically peaceful. The fortified hill of Hum is also worth a visit. The west side of Korcula’s large bay offers the perfect scenic spot from which to enjoy spectacular sunset vistas. From the bay, you can hop aboard a ferry boat for a ride across the crystalline waters to explore the beautiful neighbouring islands of Brac, Hvar, Mljet, Solta and Vis. 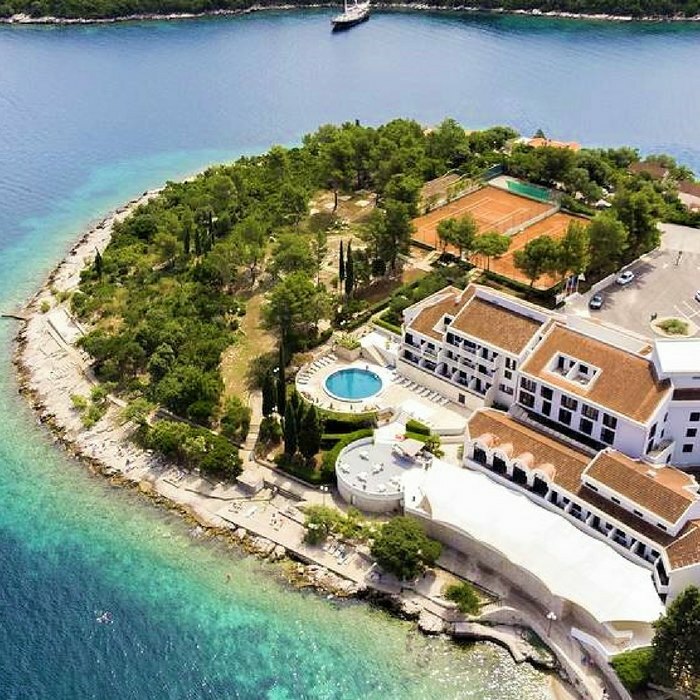 Temporarily leave behind Croatia’s second most populous Adriatic island and enjoy a day trip to another idyllic island. En route to your destination you will sail passed lovely secluded coves and bays. Boasting a friendly atmosphere, the family-run Konoba Belin is a charming, rustic style tavern with wooden tables positioned under a canopy of beautiful trailing vines. There is multi-terrace outdoor seating so that you don’t miss out on enjoying the scenic views. On the menu are traditional homemade dishes that are authentically Croatian. Tuck into a seafood specialty like breaded octopus, or a plate of tasty peka (meat and veggies cooked in a special pot). The squid risotto is another popular option. One of the most popular restaurants on the island, Restaurant Filippi is locally known as Zakerjan. The eatery is situated in a prime spot overlooking the shimmering turquoise waters, and facing the Peljesac channel. Find a table on the water’s edge, under a shady tree, and contemplate the menu whilst enjoying a glass of the local Grk wine. The cuisine is modern Dalmatian with fresh, seasonal ingredients. Local artisan pasta, fish, seafood, meat and vegetarian dishes are all on offer. Situated in a stunning little spot on the promenade, Restaurant Nonno boasts spectacular views across the sparkling Adriatic Sea. The chic restaurant has a spacious and airy interior, with additional tables and chairs set out on a large canopied terrace. The delicious food is inspired by classic Mediterranean cuisine and includes pasta, fish, meat, seafood, salads and the ever-popular pizza. 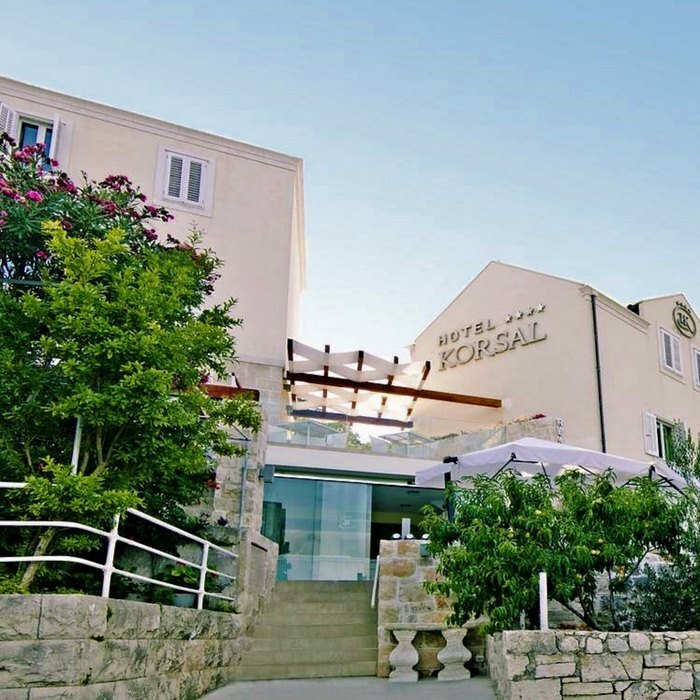 Go for the breathtaking views and the tasty dishes, and stay to enjoy the magical atmosphere on the edge of the Adriatic.